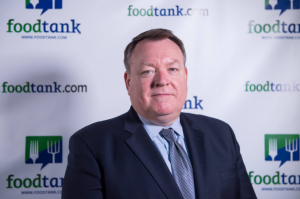 Ferguson had the opportunity to speak with Food Tank ahead of the summit to discuss what inspires him to address food challenges, how to better U.S. and global food systems, and the small changes everyone can make in their lives right now to make a difference. Ferguson: When you look at the effects of climate change, the burgeoning populations of South Asia and parts of Africa, combined with our own problems of childhood obesity and food deserts here in the United States, the way we feed ourselves has an enormous impact on the planet. How we grow and consume food affects our water systems, our atmosphere, the oceans and biodiversity at all levels. If we are going to move toward sustainable and more resilient systems, we need to do food and agriculture right, and we need to do it fast. Winrock International is particularly well positioned to play a leading role in addressing all those challenges. That’s what inspired me to become involved with an organization that has a proactive approach to food and agriculture. Food Tank: What do you see as the biggest opportunity to fix the food system? Ferguson: I believe that creating and strengthening markets around the world is one of the most effective ways to lift people out of poverty. It’s also the best way to create food security. Internationally, we work to help connect smallholder farmers to local markets. We do that by building those markets which create opportunities for farmers to connect with buyers. In the United States, the Wallace Center at Winrock International is supporting the farm-to-table movement, by improving market access for smallholder farmers. I think there isn’t a more important task than providing farmers around the world with the ability to improve their own livelihoods. If we support and invest in farmers and the value chains they work within, we would all be amazed by the many positive results we will see in our health, education and longevity. Food Tank: Can you share a story about a food hero that inspired you? Ferguson: I have been particularly inspired by Majora Carter, who helped create a food hub in one of New York’s most underserved neighborhoods. When you learn about her story, it is almost unbelievable the hurdles she faced in her efforts to bring local, healthy food to one of the biggest, most sophisticated cities in the world. She demonstrated that, with enough perseverance, you can improve the healthy food access of virtually anyone, anywhere in the world. I was privileged enough to be working for the MacArthur Foundation, when she received the MacArthur Genius Award. I don’t think anyone’s ever been more deserving than her. Food Tank: What drives you every day to fight for the bettering of our food systems? Ferguson: I’m driven by the inequity that people around the world, and right here in the United States, experience in terms of access to good food. In this day and age, when we have such capacity for producing and distributing good food both locally and globally, it’s frustrating that we still have pervasive problems around hunger and food-related disease. We must do everything we can to find solutions to these challenges. Food Tank: What’s the biggest problem within the food system that our parents and grandparents didn’t have to deal with? Ferguson: My grandparents were tenant farmers in Alabama. I was lucky enough to spend part of my childhood on my grandfather’s farm. Over the years, I have seen how more and more people have become further removed from the production of our food. As a result, our inability to procure the best qualities of fresh, locally and responsibly produced food has increased. Many people have become so far removed from the understanding and appreciation of what constitutes real food. Food Tank: What’s one small change every person can make in their daily lives to make a big difference? Ferguson: Support locally grown farmers, fishers, beekeepers, livestock producers and food distributors. And do our best to ensure no one is ever further than a healthy walk away from fresh, healthy food. Food Tank: What’s one issue within the food system you’d like to see completely solved for the next generation? Ferguson: The threat of food insecurity to people’s lives, livelihoods and safety. Food should never be a weapon of war, or be withheld for political reasons. Food is a human right. Natural disasters will always interrupt food systems, and require food assistance. However, I hope we will reach a point where we no longer have to distribute food because of systemic deprivation and man-made crises. Food Tank: What agricultural issue would you like for the next president of the United States to immediately address? Ferguson: Agriculture depends on water. The Flint, Mich., water crisis should be a wake-up call to this country about the importance of ensuring our own food and water security. I think a massive undertaking is needed to ensure that every person in America has access to safe water and agriculture is focused on water-use efficiency and conservation. I would also like to see the next president address the entrenched agricultural commodity policy that keeps our agriculture from evolving and drives consolidation. I hope there will be a continued effort to expand local, healthy and sustainable food.